Making a family cookbook is a wonderful way to preserve and share cherished family recipes. They also make great gifts. The plethora of web-based book-printing businesses that now exist – including some that specialize in (family) cookbooks – make the task easier than ever before. But documenting recipes and ‘translating’ them into a comprehensible format can be quite the undertaking. Many family ‘recipes’ were learned by watching and doing and have never been written down or measured. And some people, like the Michaels family, choose to collect photos and anecdotes from different family members to help bring the recipes to life. Their resulting cookbook is a wonderful collection of family favourites, and you don’t have to be part of the Michaels family to enjoy it! Spearheaded by Aunt Lois, the project was completed by Sean and Robin and her husband Howard after Lois’ unexpected death in 2012. The final product is dedicated to her. 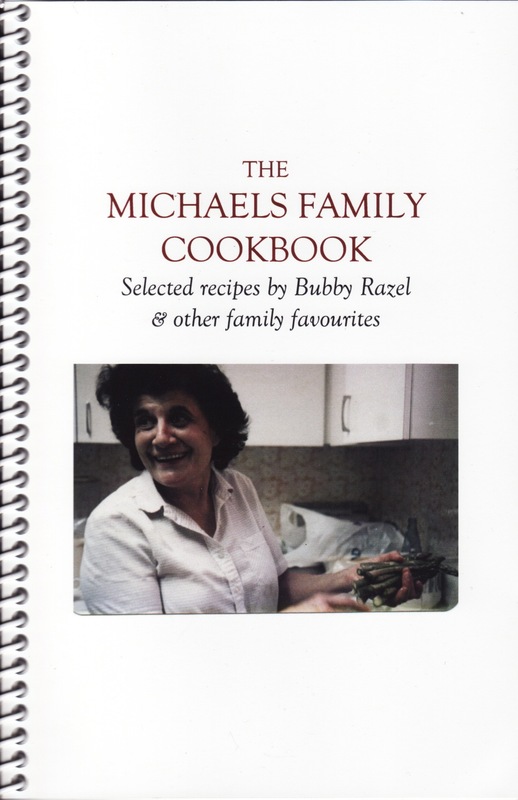 The recipes are mostly from the repertoire of Bubby Razel, the matriarch of the family, the intent of the book being “to summarize the best of Razel’s recipes, so that her grandchildren and their children can continue to enjoy these wonderful dishes”. Razel was born and raised in Toronto to immigrant parents from Kiev, Russia. Razel’s mother died when she was a teenager and so at 16 she became “the mother of the household”, and there was a lot of cooking to be done. She went on to have four children herself, and her “simple delicious Jewish home cooking” was loved by all. 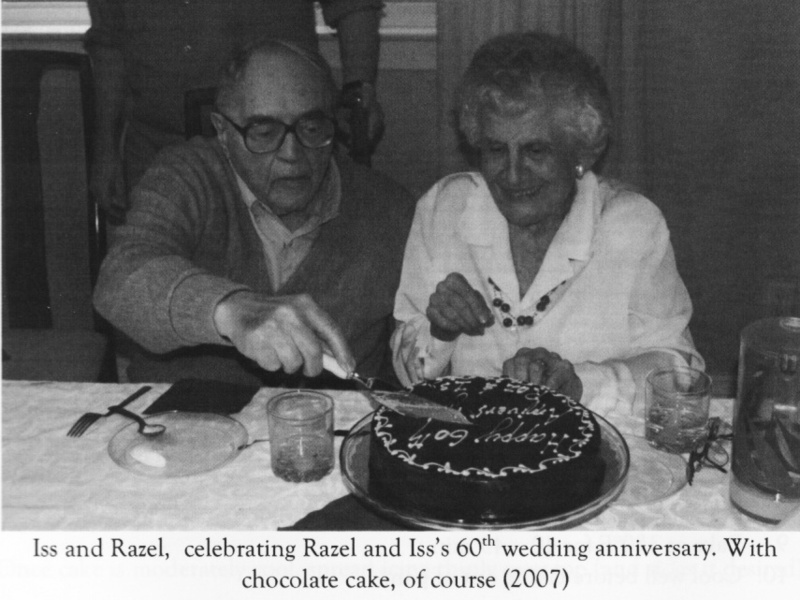 Razel, now 91, is still alive and well and lives in Toronto. Her husband Iss passed away in 2009. 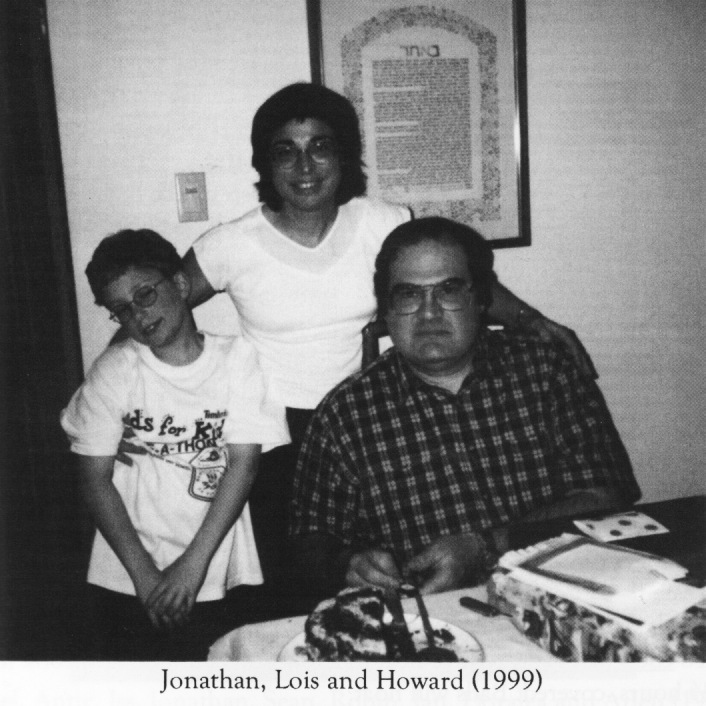 Each recipe in the book is prefaced with a personal note or anecdote written by Lois or Howard (Razel’s son), with contributions from Sean and Robin representing the younger generation. Along with Razel’s recipes, Lois and Howard contributed recipes from their own repertoire, and from Lois’ family, such as her cousin Elsa’s peach farfel which quickly became a family favourite. This year for Yom Kippur, for the first time, my brother and I decided to mark the event with our friends. Erev Yom Kippur, we invited some of our closest friends for a “Traditional Jewish Feast” potluck– we made a menu and asked our friends to sign up. Foods included challah, mandelbroidt, matzah-ball soup, kugel, roast chicken, brisket, gefilte fish, and halapses (cabbage rolls). It was amazing; our friends are great cooks and they were really invested in it, making everything from scratch and it was so delicious. Best of all was the fact that none of our friends were Jewish. All the foods were (relatively) new to them, so everything tasted slightly different from what we were used to. Except for the halapses. We had given our friend Sylvan the halapse recipe from our grandmother, and he got it bang-on. They were perfect! Just like our Bubby used to make. It was such a mental mind-trip, everything close but not quite — and then a total odour/taste rewind down memory alley with the halapses. It was amazing! Have a family cookbook or recipe you’d like to see showcased on our blog? Let us know in the comments section or contact us.